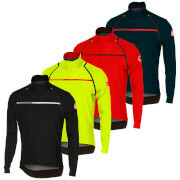 The Essential wind jacket is a versatile windproof jacket, ideal for rides in colder or windy conditions. 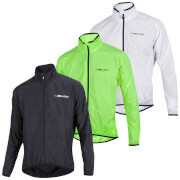 The jacket is easily stowable and has the ideal balance of windproof protection and breathability, with the inclusion of mesh zones at the underarms which support enhanced ventilation and comfort. The jacket also features innovative access slots at the rear of the jacket giving very easy access to the inner jersey pockets, which supports functionality and safety. 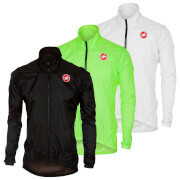 The arms and body of the jacket are elasticated to provide a precise and secure fit and the jacket has enhanced safety and visibility through a reflective logo which is included on the back and sleeve.